Hi, Mac, thanks! And congrats on your release! Thanks so much, Diana. TWRP has been wonderful. Congrats on the 4 1/2 star review, and don’t you love TWRP? Best of luck, looks like a winner! Hi, Isabelle & Ella! Thanks! Your cover alone snags my interest, Babette. 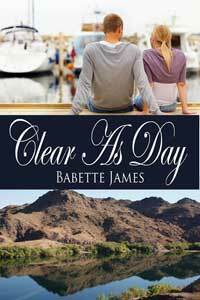 Clear as Day just claimed a place in my TBR pile. Congrats on your release. I’m really excited to read this! Congrats on your release! What a great excerpt! I have this one waiting for me on my Kindle. Can’t wait to read it!